Now that you are embarking in the world of making money online, in particular by using Paid-to-Click Sites and Traffic Exchanges, there are some points that you should take into consideration to avoid unrealistic expectations than can lead to dissapointments. 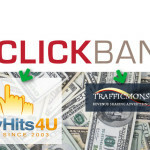 The attention span of users in Traffic Exchanges and Paid-toClick Sites is very short, not helped by the fact that that typically the Ads are show only a few seconds. Also, it is likely that your audience has been seeing advertisements long before they got to yours, and that they are very likely tired of seeing ads. Does this mean that you shouldn’t try it? Not at all. They are the right market for some products and services, and your Ad will get into their screens. But, if your Ad looks like every other Ad that they have been seeing all day, you are very likely to lose them. In marketing, a conversion is the act of converting a visitor into a paying customer, although a conversion can also be considered if your Ad gives you the result that you are expecting. If you are promoting NeoBux or ClixSense inside EasyHits4U, if they sign-up using your affiliate link, this could be counted as a successful conversion as you achieved the result that you wanted. Of course if you are selling a product from ClickBank for example, a successful conversion is if they bought the product that you were promoting. So, you want to achieve the maximum number of conversion using your Ad. 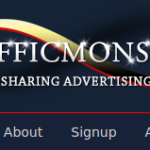 This is the page that the users get to see after they click on your banner for example, or when they come accross your Ad in a Traffic Exchange. I don’t have to tell you how important this page is, the Conversion is directly affected by how good this page is. An article that delves deep into the creation of Splash/Landing pages is on the works, but for the moment I’ll only cover up some basic tips. Some sites will offer you a variety of Splash/Landing Pages, for instance ClixSense, but some others will not, for example NeoBux. But even if you are given options of Splash/Landing Pages, you will be using and showing something that very likely the people have already seen, so it will basically come down to pure luck if they sign in. In a previous article I covered the EasySplash tool from EasyHits4U, it is a very good starting point if you are new to this. You may use a graphic, a bold phrase in red, money signs. But do not fill the entire page with outstanding elements or you will lose the impact on the user. The first sentence will either gain you the user, or cost you the user. It is very similar in many other types of advertising, although in some cases is not as radical as in a Traffic Exchange or in a PTC System. But also, here are the users likely to be interested in some types of products and services that you are promoting. You have to make a connection with them. People will join the opportunity that you are presenting to them because they will feel like they are going to create the lifestyle that they always dreamt about. So they will respond to your feelings. If you don’t feel like the opportunity will change the lives of them, you will not be able to create the connection that will ultimately result in them signing up to your opportunity.